I bet most of you haven’t heard of Ho’oponopono. I did not learn about it myself until I attended a workshop in Cape Town, South Africa on February 2014. What is Ho’oponopono? 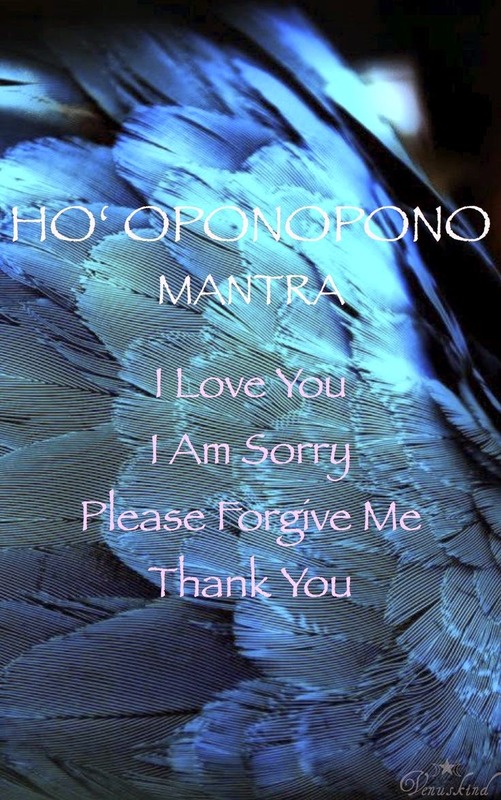 It is a traditional spiritual Hawaiian healing process of letting go of toxic energies and memories within you to allow the impact of divine thoughts, words, deeds and actions. It a healing and cleansing process that removes the mental obstacles that block your path, freeing your mind to find new and inspirational ways to get what you want out of life. In his best-selling book, ZERO LIMITS, Joe Vitale told the story of Dr. Hew Len, the master teacher of modern Ho’oponopono. More than thirty years ago in Hawaii, at the Hawaii State Hospital, there was a special ward, a clinic for the mentally ill criminals. The officials of this ward sought out Dr. Hew Len to assist in the rehabilitation of these criminals and violent offenders. Dr. Hew Len agreed, and asked for the files of about a dozen of the most uncooperative and violent criminals in this particular ward. Without seeing any of the offenders, I started to cleanse himself and to pray for the dozen criminals, using only four powerful phrases: I am sorry; Please forgive me; I love you; and Thank you. After a few weeks, the officials started to see some positive changes in the offenders assigned to Dr. Hew Len. After several months, some of them made so much progress that they were released. He took on more files of other criminals. Dr. Hew Len worked there close to four years. In the end, there remained only a couple of inmates that were relocated somewhere else and the clinic for the mentally insane criminals had to close. I have personally used the teachings of Ho’oponopono. I cleanse myself constantly by repeating: I love you; Please forgive me; I am sorry; and Thank you to myself whenever I can. By the way, you can say these four phrases in any order that make sense to you. The result after about a year is that I am experiencing more peace of mind, contentment, health and wealth. This is the most worthwhile thing that I have done for my wellbeing for a long time. It is the best advice I have to share with you at this time. Check it out for yourself, and discover the amazing power of this ancient Hawaiian spiritual teachings. What is the best teaching/principle you have implemented successfully in your life? Please share it with us so that we all can benefit. 2014 in review – Thanks to all my viewers and your comments. 2015 will be even better!